You can’t discuss sewing machines, without mentioning Singer brand. That’s why independent singer sewing machine reviews say that Singer has a special place in the history and development of sewing machines. Singer Sewing Company is named after Isaac Merritt Singer who established it in 1851. Though he isn’t the original inventor of the sewing machine, he is known for the invention of the world’s first practical and efficient sewing machine. The idea to design his first sewing machine kicked his mind in 1851. At this time he was repairing machines at a shop in Boston where he was presented with a sewing machine to fix. 11 days later, Isaac Singer had already designed and developed his sewing machine and obtained a patent for it. Today, Singer is a force to be reckoned with. This company has made sewing easy with its continued innovations and commitment to quality. One feature that cuts across Singer’s sewing machines is their competitive prices. These low prices make people a bit skeptical about buying the machines thinking that the quality has been compromised. However, what everybody should appreciate is the extensive experience boasted by this company. As such, Singer always has a way of delivering excellent quality without making the units unaffordable due to price. Affordability by everyone has been a core principle that was initiated by I.M Singer himself. Either mechanical or computerized, most Singer sewing machines have been made incredibly easy to use. Depending on what the machine has been designed to do, you’ll find that all the features aim at giving you an easy time. For instance, most of its sewing machines have an ample working space for easy quilting, or when working on large projects. For the computerized machines, most of them feature a LCD display which makes setup extremely easy. 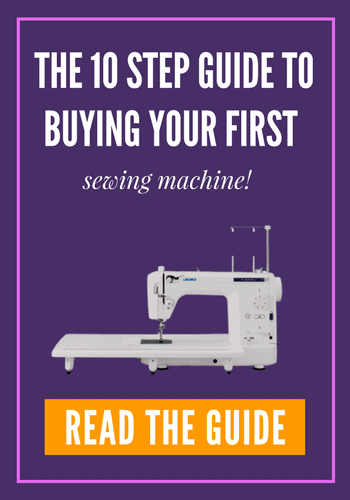 This is one great feature that you’ll like about Singer sewing machines if you need one for your classes. Their design always makes it easy to carry from one place to the other. They also come in different sizes. So, you can always get one with a small footprint to fit in the available space.